Our focus is on making maps. It’s what we do and we do it well. Our mission is to understand your project objective so we can help you make smart CAD and GIS choices. We can start from scratch or work with your existing files. We can compile additional maps and data on your behalf. 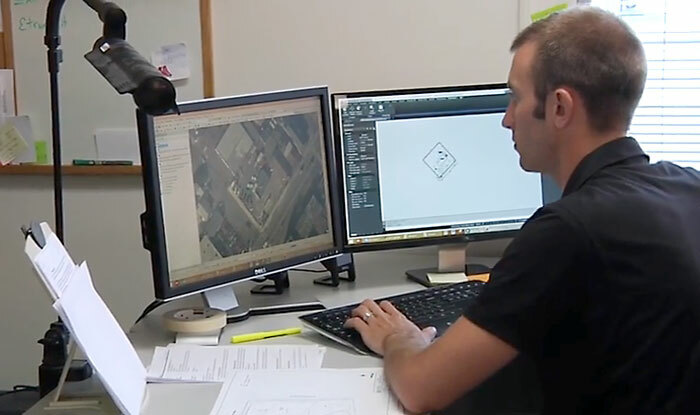 We are happy to manage all your drafting and mapping needs or work effectively with your in-house CAD & GIS teams. Using Autodesk® and Esri® products to prepare maps, technical drawings, details, report figures, graphics, and presentation materials we help you determine the best way to assemble, manage, and convey information. Map output is our focus – making you look good is our job. When you need to communicate effectively, you can count on us. Please call our office to get your first request started. Subsequent requests can be sent via e-mail along with any relevant files. Submit requests to pointmap@pointmap.com. Include the project name or job number on the e-mail subject line for reference on the invoice. Your work is our number one priority. Our goal is quality and fast turnaround. We will contact you if we have questions or need additional information, otherwise, you can expect to hear back from us within 24-48 hours with PDFs for review or an estimated completion date. Contact Peggy if you have any questions or concerns. We are dedicated to working efficiently with you just as if we were down the hall. You will have our full attention! No task is too big or too small. Email your project and expect to hear back from us within 24-48 hours with PDFs for review or estimated completion date. Our hourly rate is all inclusive of time and materials. You will be provided PDFs for review. All documents and information will remain confidential and you will remain the owner of all work. We will retain backup copies of all work should you need them again in the future. Still have questions? See our FAQ page or call 651-481-6980. Our Resources page has downloadable information.